Welcome to week five of my Day Zero Challenge to cook my way through a cookbook. You can find the details on the original post, Fruity Friday. 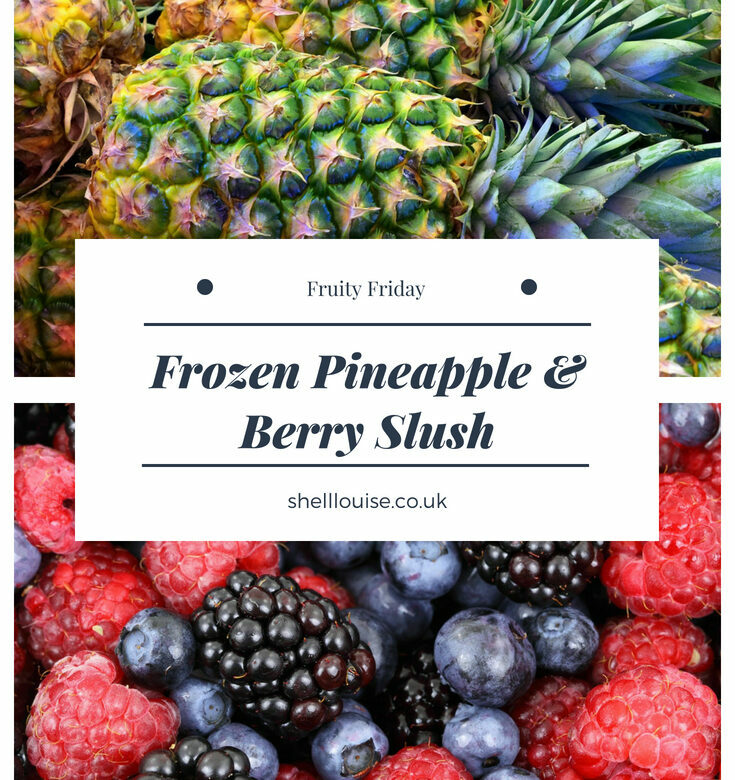 Today we’re making frozen pineapple and berry slush. 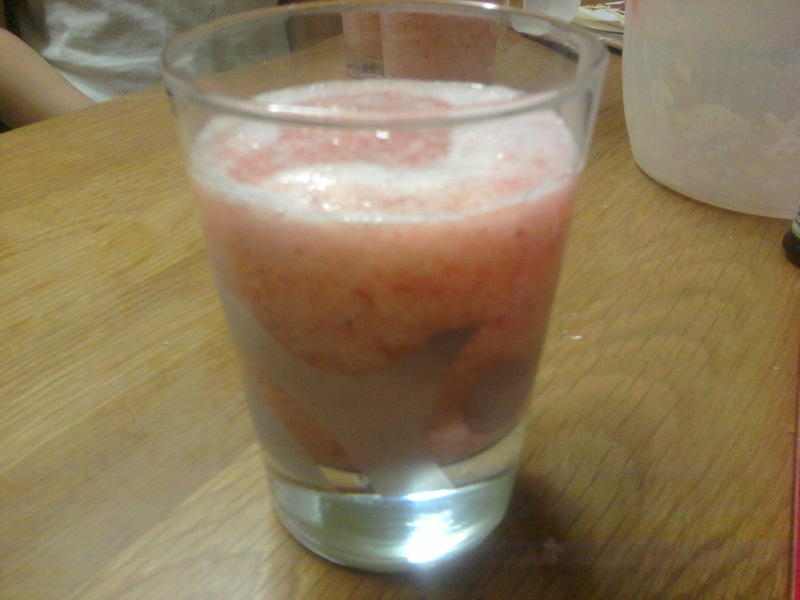 1) Put the ice cubes in a food processor or heavy duty blender and process until they’re finely crushed. Alternatively, crush the ice cubes in a freezer proof bag, bashing them with a rolling pin and then put them in the blender or processor. 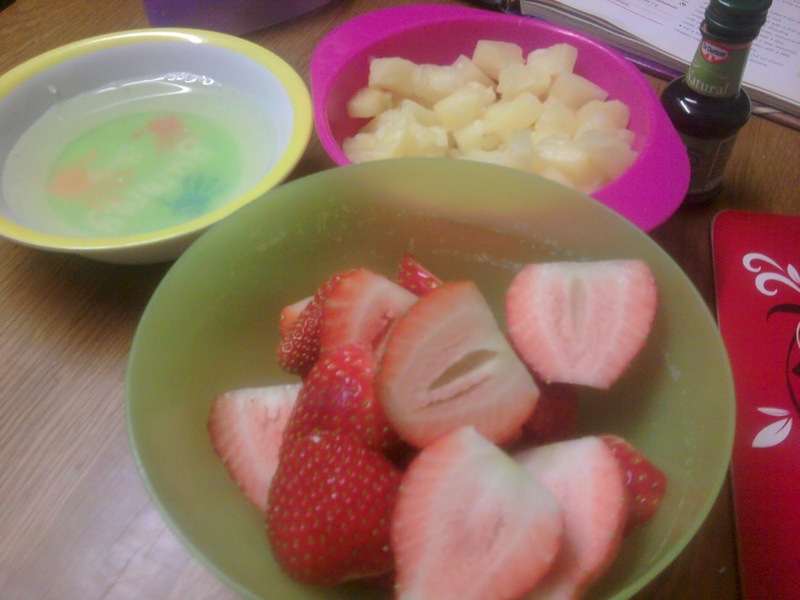 2) Add the strawberries, pineapple chunks, pineapple juice and skimmed milk powder and process again until blended but still with small pieces of fruit and ice visible. 3) Taste ans sweeten with sugar if necessary. Process briefly with the pulse button. 4) Spoon into tall glasses, decorate each with a sprig of pineapple mint and serve with long spoons. 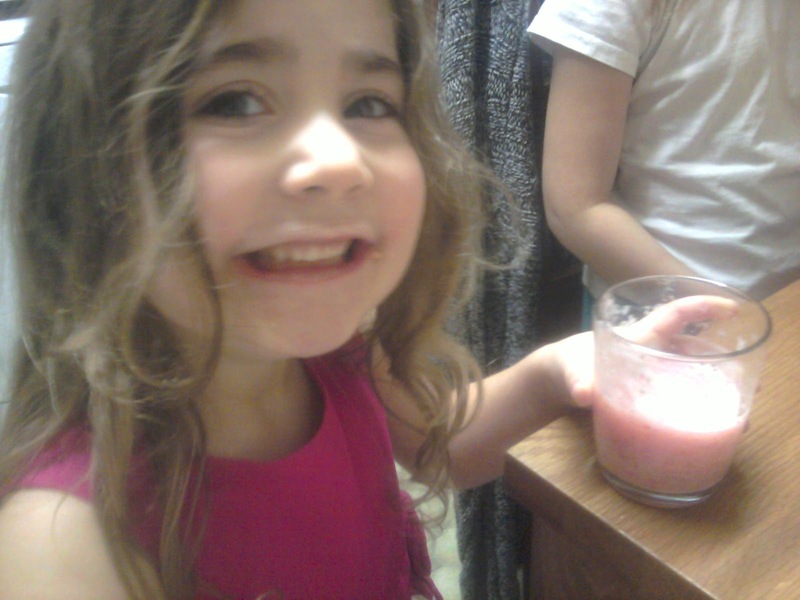 Ella LOVED it! It didn’t last more than a couple of minutes and I think she finished off KayCee’s as well! 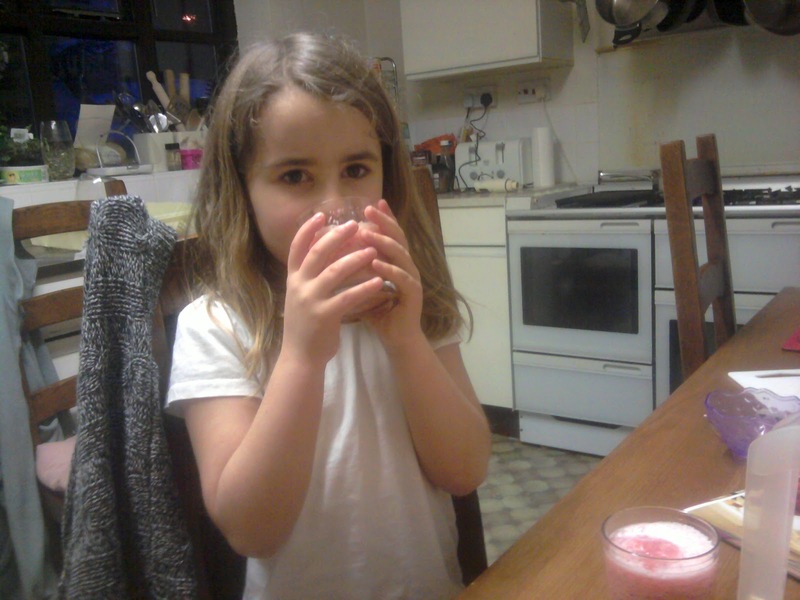 It was very nice and would make a lovely refreshing breakfast drink on a warm summer morning.